Hi, we have a preview of Publisher build 167 now available. It is currently provided as a manual download from the link above. This build has been issued to fix the 'Failed to Save Document' issue that some testers are experiencing with build 162. This issue could arise if Embedded Documents were placed on master pages or were duplicated on regular pages. Guess what. Still getting setup failed. Not got a lot of hair left! I notice there is nothing about curing setup failed in updates and fixes. Perhaps they've not noticed! Update went without a problem here. Can anyone explain what 'Thin Space handling' is? Everthing went fine as always. in Designer > Ctrl+M for "Curves"
The instruction in 0x7723f157 references memory 0x00000050. The read operation could not be performed in memory. " Have the .162 reinstalled -> works. Installed but won't run. Get a message. 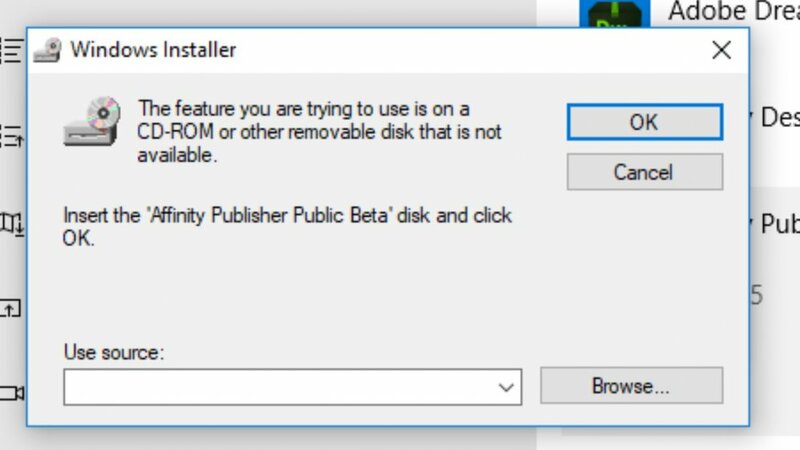 Uninstall & re-install doesn't help. Last few versions have been fine but had a similar problems on a previous occasion. The same error message as mine. It looks like you are both using Windows 7. Could be relevant. Same Problem same Error message) like Affwin and MikeRose. Im Using win7 64bit. Getting the same error - Windows 7 - 64bit. Easy install here on Win 10. For me was the first test positive. Easy install on Windows 10. also noticed that the Startup time has improved a lot. Here are the required files. Checked log, got this - see attached. But AP was installed from download folder - I think. Is there some way to check? I am now running .167 Force uninstalled .145, new install went fine. Registry keys pointed to the downloads folder, so don't know what was going on. p.s. I think previous pic was a bit big!! Have an important PDF export bug in version 167 ! Under 162 was not, please check before install new version, and make backup! Same projects, same PDF export profile, but different results! same issue here crash with memory violation on my windows 7. Had to revert to 1.7.0.162. Did not try it yet on my home windows 10. Will do later this evening. Has any Windows 7 user been able to run the new beta 167? If I will choose the options BOLD or ITALIC, after I have changed the color of (a part of the) text the "buttons" of these options are "down" as a result of the change of color. Why does the fact that I changed the color influence these buttons? Please post this again into a new thread. This thread is for installing problems or difficulty running the application. I'm on Windows 7 and agree with others... unable to start the version .167.